The Valencia Boat Show, which was held from the 1st to the 5th of November in Valencia Marina, received a total of 14,728 visitors in its five days of exhibition, with a 50% increase in ticket sales compared to last year. The show attracted an equal number of visitors as the last edition despite having two days less – five days instead of seven – and just one open day with free entry compared to two open days in 2016. In the 2016 edition the average number of daily visitors was 2,142, while this year it has been of 3,000, which represents an average increase of 40% visitors per day. The open day attracted about 8,000 people who came to see the exhibition of new boats, engines, accessories and nautical services and to participate in the free activities that were held on Sunday in Valencia Marina. 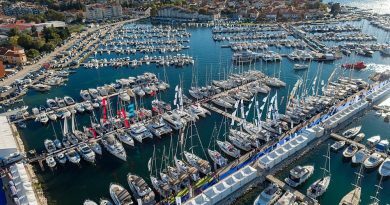 The representatives of the show confirm that operations have been closed and there are others in progress that will be closed in the coming weeks, and that it is expected that this year’s turnover will greatly exceed last year’s figure of 4.3 million euros in boat sales. “We are very satisfied with this year’s results, both in terms of the operations carried out and in the number and profile of the visitors, who are users of the nautical industry and interested in the purchase of boats, products, accessories and marine services. The Valencia Boat Show made a commitment in 2016 that has been confirmed to be a success, and today we are a show in full expansion, which I believe has come a long way”, said the director of the event, Fernando Jimenez, last Sunday. In 2018, the Valencia Boat Show will be held from the 31st of October to the 4th of November, coinciding again with the All Saints holiday, which is expected to attract visitors from all points of the mainland taking advantage of the bank holiday weekend and Valencia’s good connections and favourable weather. The show will again have four professional days and an open day with free entry on the Sunday with activities for all audiences, as it is the format preferred by exhibitors, according to the survey carried out by the organisation. The Valencia Boat Show, which will be held from the 1st to the 5th of November in Valencia Marina, has surpassed last edition’s figures, with more than 80 exhibitors and over 150 new boats from the main national and international boatyards, in addition to a wide range of marine engines, services and accessories. 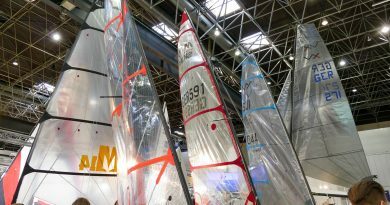 This year the show has enlarged its exhibition space to 16,000 m2, thanks to the addition of a new covered area in Tinglado nº2 of Valencia Marina, and has filled up the exhibition capacity and available moorings.